For those of you who have heard about the glycemic index, there is a new concept that many nutritionists feel is more valuable for determining how various carbohydrate foods affect your blood sugar levels. It differs from the glycemic index in that it uses the actual carbohydrate count of your foods to determine the effect on your blood sugar level. Check out my new page on the Glycemic Load and why it is a more effective tool for managing blood sugar. The benefits of MSM for antiaing would be considered controversial, but many holistic and antiaging practicioners have embraced this sulfur based supplement as an effective and non-toxic alternative to prescription drugs for treating arthritis. 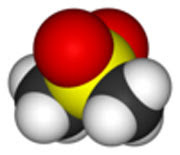 Check out my latest page on the benefits of MSM (methylsulfonylmethane) and learn why. What is DHEA, and why is it so important to your antiaging efforts? High DHEA levels have been linked to longevity in the famout Baltimore Study of aging. Check out my new page on DHEA, and find out why it has been getting so much attention lately. What is the relationship between high psa levels and prostate cancer? It is more complicated than you think. Men with high psa may not have cancer, and men with low psa may have it just the same. This relationship between psa levels and prostate cancer is not entirely understood by medical science. Doctors are still trying to come up with a more reliable form of early detection for this dangerous disease. Check out my web page on The PSA Test for more information on this important topic! However this test can and should be used by healthy people to warn of impending blood sugar problems BEFORE they develop into a diabetic condition. Check out my new page on the A1C blood test and it's importance in antiaging! Free radicals are molecules that have an unpaired electron and which cascade through your system damaging cells and their DNA. Just what are free radicals and how are they created? Your digestive system as all other bodily systems becomes less efficient with age. The digestion process just does not work as well when you get older, and in advanced age is one of the most common causes of malnutrition. However by combining your foods properly and using the fresh juices, probiotics, and enzyme supplements, you can ensure that your digestive system has the help it needs to keep on doing its job and nourishing your body well into advanced age. 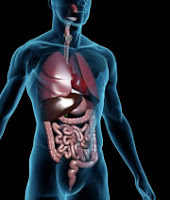 Check out my latest page on the effects of aging on your digestive system! Many of us have experienced back problems in the form of pain and stiffness. It can be one of the most debilitating health problems there is. 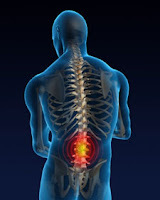 The causes of back pain are related to poor muscle tone, posture and spine health. Here's to a pain free back! C-Reactive Protein - The "Silent Killer"
It is a medical fact that half of all heart attack victims have normal cholesterol levels. Why is this so? The answer is a protein produced by the liver in response to inflammation. It is one of THE most important cardiovascular disease risk factors, and more doctors are testing for it when examining their patients. Understanding the role of inflammation is essential in cardiovascular disease prevention. Learn more about it on my web page at the link above! Have you ever wondered where the world's oldest people live? Well it is on Okinawa Island. There are more people over one hundred years old in Okinawa, than in any other place in the world. What's their secret? There are many factors in Okinawan longevity, such as not overeating, the Okinawa diet of fresh unprocessed foods, and daily exercise that is woven seemlessly into their lifestyle. Visit my web page on Okinawa Island and learn more about how and why these people seem to age slower than people in other parts of the world. There is a real revolution taking place in the concept of health and healthcare. People are tired of medical protocols that never treat the root causes of aging and disease. They don't just want an absence of critical illness, they want "wellness." Exerts predict the wellness industry will generate over a trillion dollars in gross business, and many entrepreneurs are positioning themselves to cash in on the baby boomers search for health and antiaging. This is a very precise and holistically oriented way to rebalance the hormonal system and restore health and vitality to an aging body. Because the decline in your hormonal system underlies almost all chronic disease, this therapy can improve health across the board in aging persons. They do this by providing very safe and conservative levels of an antiaging hormone such as testosterone to keep your metabolic processes in the anabolic zone. This can restore lost strength, muscle, sexual performance, and general zest for life! Seasonal Affective Disorder or SAD is otherwise known as the "winter depression," and the way lack of sunlight affects your moods and overall health. Human beings are designed to need sunlight in much the same way we need nutrition to keep physically and mentally healthy. Supplementation with vitamin-D and full spectrum lighting can help alleviate the symptoms of winter depression. I hesitated to write a web page on this topic because I haven't as yet found the cure for baldness. However upon further reflection, I thought I would share what has worked for me. I still have most of my hair even though it has thinned over the years, so perhaps some of you may find my strategies useful. My hair started thinning in my late 20's but I have used several simple strategies to treat baldness, with fairly good results. I have found Saw Palmetto for hair loss especially helpful. and see if my strategies work for you as well. honey that you would find in raw unpasteurized honey. You can use the link below to locate the real thing. You will be more than glad you did! Sometimes sweet things ARE good for you. Honey is definately in that catagory. It is alledgedly even safe for diabetics, but it must be "unpasteurized!" The synergistic combination of honey and cinnamon also has special nutriative and health benefits. Is There an "Antiaging Gene?" Are some people genetically programmed for long life, while other get the short end of the stick so to speak? We all heard this before and perhaps wondered if quitting smoking, not drinking, and eating better is really worth it. We are told that genetics equals destiny, but is that true? More recent research indicated that our environment and lifestyles have far greater effect on health outcomes than was previously believed. I explore this issue on my web page. Check it out and let me know what you think! Sarcopenia is a little known but serious health condition that affects many people as they age. 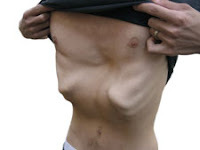 This is a condition in which you lose lean muscle mass and with it your bone density, mobility, and general health. Muscle is more than just a pleasing physique at the beach or a means of lifting or carrying things. It is essential to controlling blood sugar and avoiding diabetes, keeping your bones strong, and other metabolic functions which are necessary to your health. The weight loss industry takes in millions of dollars selling diet aids, supplements, and exercise devices, all for "losing weight." However focusing on weight loss alone can be counterproductive, and even unhealthy. Check out my latest page on Healthy Weight Loss and learn why improvement in "body composition," by building muscle and burning fat should be the focus, rather than just weight reduction. Cayenne pepper is one of nature's most powerful healing herbs, and can be used for a variety of health conditions. It is even alleged to be able to stop a heart attack in progress. I just created a new Yahoo group focused around Internet marketing and profitable website creation. There is lots of good information there including FREE ebooks in the files section, that you can download and share with whomever you want. The information provided is the same info that I used to construct my antiaging site! Check out my new group when you get a chance and please let me know what you think. Just a few words that I want to share with you about my new Antiaging site. It would not have been possible without Site Build It and the amazing set of tools they include to make it possible to build a highly trafficked online presence to promote your business, hobby or personal passion. Some years ago I picked up a book called "Multiple Streams of Internet Income," written by Robert Allen, the real estate guru who taught Carlton Sheets the business. It contained a wealth of information, too much information for me to be truthful. I felt overwhelmed and the book got forgotten for a couple of years. In time I picked it up and attempted to read through it again, and came upon some information about a friend of Mr Allen's named Ken Evoy. Allen reccomended Ken's site which was called "Sitesell" and I checked out SiteSell online and was very impressed by what I saw. Most programs pitching online business success seem to leave you confused, and chasing your tail so to speak. They promise instant wealth if you just buy their program or sign up for their book or seminar. They never quite explain just what it is you need to do to make all this money, just glittering generalities about how the cash will start pouring in if only you "order now!" Even if I wanted to I could never follow these programs. They just don't explain things well, and seem to lead to more confusion. That is where SiteSell was different. I watched a 20 minute video that showed step by step just how SiteSell and their flagship product SBI could not only host your website, but would take you through the process of picking a profitable niche using keyword popularity, registering a domain name, creating good web content, and getting lots of targeted traffic to your website. Only then, after all these steps have been completed, are you to focus on selling your product or service. This really amazed me, because it was what I had been looking for! Finally, a structure and guide to show me exactly what to do and how to do it, at every point in the process. They even offer consulting services for a very reasonable fee if you need them. I never heard any pitch about instant money or easy sucess. Instead SBI emphasizes that their process takes time and hard work. Imagine that.....the honest truth about what it really takes to succeed online, with no hype, or magic. I thought "this is EXACTLY what I want!" It's been less than a year and I have published a site with 122 pages and still growing. My Alexa ranking has gone from 14,000,000 to 2,450,000 and my site is getting between 50 and 100 unique visitors a day. I still have lots of hard work ahead of me, but that's ok, because I have my goals in sight and now it is just a matter of patience and persistance on my part, and the success will come. I urge any of you who are contemplating building an online presence for e-commerce or any other forms of promotion online to consider the tremendous value that SBI provides. I would be glad to answer any questions about SBI personally, and you can contact me through my online contact form. Who would have thought that Prince Charles heir to the British throne of all people would sound the alarm on GMO (geneticall modified foods) but that's exactly what he has done. I have a newfound respect for the prince as he is bucking the establishment scentific and otherwise by his public stance, but I believe he is quite correct to point out the dangers of GMO foods. Hopefully with this warning coming from such a popular and well known figure as the Prince, most people on both sides of the Atlantic will take notice and rethink our headlong rush into corporate food production. In our fast paced lifestyle, we often choose to do our eating on the run, or at least in a manner that's as quick and convenient as we can. We just don't take the time and patience to really prepare meals like our parents generation did. As a long time strength athlete and person concerned about strength, fitness, and building muscle, I have been using protein powders for years. I never really thought of protein powder as fast food, but it IS! I am not saying that it is as unhealthy as a large Coke and fries, but the wrong type of protein powder can cause problems for you and I'm going to relate some personal experience to explain why. Powdered protein has come a long way over the years to the point where it is much tastier and easier to mix then what we used years ago. However, as always, cost is the key factor for companies that make the stuff, and whey concentrate has emerged as the cheapest form of protein powder to make. This means that it ends up in most over the counter protein powders that are sold to the public. index" which means that it tends to raise blood sugar somewhat rapidly. Once blood sugar goes up, the body secrets insulin to bring it down again. When your blood sugar falls, you will feel a loss of energy and a lethargic feeling because your brain runs on glucose and is now not getting enough to keep you alert and focused. I have written a web page about protein choices which will go into more detail and explain which types of protein are best. I have because of my experiences gone to a casein based protein rather than whey, as it takes much longer to digest, but gives you a much more stable blood sugar level, and I feel, helps build more muscle in the long run. If you use protein powder as part of your dietary routine, you need to know this information. Incorrect protein sources can sabotage your nutritional efforts, so check out this page and get the facts! If I had to pick one thing that is THE most important factor in human aging that is under our control I would say without hesitation it would be sugar consumption. This is because when you overconsume sugar in the form of carbohydrates, your body releases insulin. Research on laboratory animals has confirmed that the more insulin you produce in response to carbohydrates in the diet, the faster you will age, and the more health problems you will have. These three factors go hand in hand! The analysis of these results seem to mimic the results of calorie restriction experiments on laboratory animals. However the people in the research study were not on special diets and did not necessarily restrict their calorie intake. Some researchers have theorized that insulin raises body temperature, and again this seems to correlate with experimental data from the animal studies. If all this science is getting you confused, then take heart, because there is a simple and inescapable conclusion to all this, and that is that reducing theglycemic index of your meals, will help you to live much healthier and longer. I have written a web page on this topic that you may find interesting. Feel free to check it out and let me know what you think! I know this sounds like an oxymoron, but there IS such a thing. Just keep in mind that what I am about to say should not be construed to mean that you can feast on M&Ms and not gain weight. Rather it means that pure organic chocolate has natural chemical compounds called "polyphenols" that are healthy for the body when consumed in moderation. To get these benefits you have to get the right form of chocolate, and to that end, I have written a new page all about the benefits of healthy chocolate. I learned alot about chocolate while writing this page, and also about the dark side (no pun intended) of chocolate in terms of its mildly addictive qualities and the fact that slave labor was once used in the harvesting and processing of Cacao beans used to make chocolate. I have found a company that makes mixtures of pure organic chocolate and herbs, and that certifies that it's products are organic, and that they are made on cooperatives which help support local farmers and communities. I plan on featuring their products on my page once I get a sample to try for myself. So here's to healthy chocolate! This post is about the topic of genetically modified foods which I have very little knowledge of, but am learning more about. The reason why I am writing it is to make you aware of what is going on and how this affects us all. There are two things which are cause for concern. 1) Scientists have become aware that gene expression is a dynamic and variable thing and that it can change in response to environmental factors. 2) The basis for genetically modified foods is "ownership" of seed crops by large Agri-Business concerns like Monsanto. Ok, let me explain this in more simple terms. First the gene expression thing. Scientists used to think that genes were a form of biological "hard wiring" so to speak, and that genes in some static sense caused certain things to happen irrespective of other factors. Now they have come to understand that the way your genes interact with things in your environment can actually change gene expression in a way they never thought possible before. This is both good and bad. It's good in the sense that it means that our genes are not our destiny, at least not entirely. We have a lot of control over our lives despite having genetic tendencies toward things like heart disease, cancer, ect. The bad news is that various things in our environment like toxins, certain foods, viruses, and bacteria, can alter gene expression in our bodies to a much larger degree than we were previously aware. We now know that the genes added to foods to produce GMO or genetically modified organisms can have many unanticipated consequences. They can in response to environment factors like heat, cold, bacteria, viruses, chemicals, ect. be altered in their expression in ways which we cannot possibly know. Chemical companies like Monsanto are putting genes in seeds that come from other organisms. This is the genetic equivalent of playing with fire! These genetically modified foods have not been tested for safety, because it is assumed the genes inplanted in them pose no threat to human health. This amounts to the one of the boldest genetic experiments in human history with absolutely no assurance that the consequences are even predictable let alone safe. Why is this being done? The answer is money! Companies like Monsanto want to "own food," so that every farmer who wants to plant crops will have to buy their patented seed! They are even developing seeds that will grow into crops which cannot be replanted. Every time a farmer wants to replant these GMO crops, he would have to buy seed from the company. The seeds cannot be reused as they have been for countless generations throughout human history. Corporations like Monsanto want the entire human race to have to go to them "hat in hand" to be able to produce food to feed humanity. They want control over the worlds food supply, and they are doing it with genetically modified crops which they can legally claim to "own" the rights to via their GMO "patents." This development should be of concern to everyone who cares about the world that their children and grandchildren will inherit and live in. I have just put up a 2 part web page on the subject of high blood pressure. On this page I mention that the "new" revised standards now consider that 120/80 which used to be the standard of normal healthy blood pressure is now considered the beginning of high blood pressure or "hypertension" as it is also called. Interestingly,there is evidence that these new "revised" standards were influenced by the pharmaceutical industry which of course would gain many new customers if the threshold for medicating patients has effectively been lowered. Now understand that I am not suggesting that people should never be medicated for this condition. There are times when the best course of action in the short term is medication, when the purpose is to immediately address a blood pressure level that is dangerously high and could result in a stroke. However, common sense suggests that this should only be a temporary or short term solution, and that the goal should be to make the diet and lifestyle changes that will bring blood pressure back down into the normal range, so that the medication can be safely withdrawn and normal pressure maintained..well....NORMALLY! temperate climates are at risk for vitamin-D deficiency! This makes logical sense because darkly pigmented skin filters out more of the sun's ultraviolet light. Thus dark skinned people who are living in areas that do not get a lot of sun exposure and have long winters, are at increased risk of a deficiency of vitamin-D, which your body needs plenty of sunlight to bio-synthesize. I found this interesting when I first read it, and then decided to do some investigating. I did a google search on diseases and health conditions that disproportionately affect people of African heritage. What I found was that many of those diseases had something to do with a lack of vitamin-D.
Diabetes, heart disease, breast cancer, and prostate cancer, are among the diseases that seem to strike black people more than Caucasians. Interestingly, all of these diseases have some connection with vitamin-D deficiency! Since vitamin-D is not a drug and cannot be patented, the medical establishment shows no interest in recommending increased levels of vitamin-D supplementation for black Americans. So if you are of African extraction, and you do not live close to the equator, then you need to ensure that you and your family are getting adequate amounts of vitamin-D daily. Just want to give you a heads up about a great nutritional supplement site run by my good friends Kim and Nick Carola. Kim is a busy mom of two, has a biochemistry degree and is a personal trainer. Her husband Nick has a 25+ year background in strength training and is a former National Champion in Powerlifting. Their knowledge spans every area of health, nutrition, and fitness. Their prices and service are great, and they are always willing to answer a question or give pertinent advice about nutrition or supplements. That's why I have done business with them for many years. Do yourself a favor and check out their "Health-N-Sport" site. You will be glad you did! Did you know that there is a completely safe and non-invasive test that can detect abnormalities in the breast up to 10 years before cancer develops? This test can give a woman time to take action such as diet and other lifestyle changes in the hopes of avoiding breast cancer, while other screening proceedures only detect the cancer AFTER it has formed! If you are a woman, or a man who wants to help protect the women in your life from breast cancer, then please check out my new page on this amazing technology called "Infra Red Thermography," and learn how you or the women in your life can benefit from this free and important new information. At last, after four years of painstaking development and testing, Redpoint training and nutrition software is making it's debut! This software provides customizable templates to track and manage all of your exercise and diet information. It tells you what to eat, and when, as well as which exercises to do, and how often. This is not my product, but is such a great concept that I want all my readers to know about it. I think you will be impressed! If you have ever wondered where emotions come from and whether it is possible to eliminate negative emotional states like anger, fear, anxiety, or eliminate phobias, then you might want to check out my page on Doyletics. It is a memory tracing technique that you can use to eliminate emotional stress. It was invented by a retired aerospace engineer named Doyle Henderson. You will find an explaination of the technique and a link to complete instructions for performing what is called a "speed trace," on my webpage at the link above. If you try it and it works for you, please post your experiences with it on the blog. This bit of news is about a potential cure for type 1 diabetes. Research done recently at the Hospital For Sick Children in Toronto Canada has uncovered some interesting insights into diabetes. Previously it was thought that the cause was an autoimmune reaction that targeted and destroyed the islet cells of the pancreas. However the new research seems to point in another direction. It suggests that malfunctioning nerves in the pancreas were damaging the islet cells because of an excess of substance p that which was causing the inflammation that was damaging the cells. Researchers used injections of capsaicin into diabetic mice and successfully reversed type 1 diabetes, the first time this has ever been done. What I find interesting about this is that capsaicin is isolated from cayenne pepper, and cayenne has been used for many years as a "folk remedy" for diabetes. Is science now validating an age-old remedy for this disease? It’s too early to tell just how effective this technique will be in humans, but it certainly opens up new possibilities for treatment! Hello - Welcome To My Blog! Hello all, and welcome to my first blog! I will be writing about health, wellness, antiaging, and performance enhancement. I will try and keep the blog updated with the latest information that I have culled from the net and other sources. I invite any of you who are interested in this topic to check it out and share your ideas and opinions. All I ask is that you keep an open mind, and if you have criticism, make it constructive and civil. I would also encourage all of you to check out my web page on antiaging, referenced in my profile. It has a lot of information and is growing day by day.